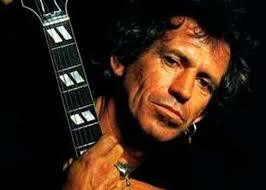 If we ever needed proof Keith Richards is now an English national treasure, just take a listen to the old Stone smokily cackling away on BBC Radio’s Desert Island Discs. Once the genteel preserve of crusty academics, senior politicians and other UK establishment figures, Desert Island Discs has been airing on lazy Sunday mornings since 1942. It started losing its starched-collar feel when Paul McCartney appeared on its 40th anniversary way back in 1982. For your interest, if you’ve time to spare, here’s that Fab Macca episode on YouTube. 1. Beethoven’s Symphony No 9 in D minor. 2. Rachmaninoff ‘s Piano Concerto No 2 in C minor. 3. Schubert’s String Quintet in C major. 4. Beethoven’s Symphony No 6 in F Major. 5. Elgar’s Pomp & Circumstance March No. 1 in D Major ‘Land of Hope and Glory. Now here’s what Keith Richards chose as the eight records he would like to have with him if he was stranded on a desert island. 1. Chuck Berry’s Wee Wee Hours. 2. Hank Williams’ You Win Again. 3. Aaron Neville’s My True Story (with Keith featured on guitar). 4. Etta James’ Sugar On The Floor. 5. Freddie Scott’s Are You Ready For Me Baby. 6. 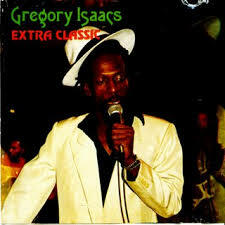 Gregory Isaacs’ Extra Classic. 7. 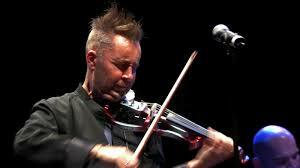 Nigel Kennedy’s ‘Spring’ movement of Vivaldi’s Four Seasons. 8. Little Walter’s Key To The Highway. With a little light prompting by the dulcet Scottish tones of his host, Kirsty Young, Keith talks movingly about the cot-death of his 10-week-old son, Tara, in 1976, fondly about his family cycling and camping holidays with his parents and what sowed the seed of his rebellious streak. Pressed to name which song from the eight he’d chose if he could only take one disc to the desert island, he laughed, “You’re killing me” before selecting Gregory Isaacs’ Extra Classic. He also said which book he’d take. But you’d better listen to the interview to find that out.